Cherry Mobile also announced their latest and first quad core powered smartphone – the Cherry Mobile Flame 2.0, together with the Cherry Mobile Omega HD. This smartphone might not have a 5-inch display like the Omega HD, but it is powered by a Snapdragon S4 Quad Core processor clocked at 1.2GHz, and features One Glass Solution technology. See more details about the new Flame 2.0 below. The Cherry Mobile Flame 2.0 is actually a rebrand of Karbonn S1 Titanium. Aside from the quad core that it is built with, the Flame 2.0 features Picture-in-Picture Function, a feature similar to Galaxy S4, were you can take shots using both the front and rear camera simultaneously, and can be overlayed on top of another. Unlike the Omega HD, that has a Dragon Trail Glass Technology, the Flame 2.0 features a One Glass Solution Technology instead (short for OGS), a thinner and lighter type of glass. But if you noticed, the Flame 2.0 has only a lesser 1,600mAh capacity battery. This means that you might need to recharge your phone, once or twice or even more depending on your usage, before the day ends. It also has a 5 megapixel rear facing camera only, unlike the Omega HD that has a 12 megapixel rear camera. 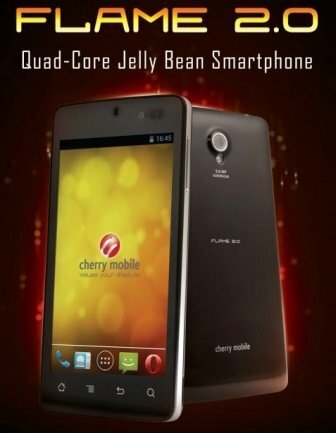 The Cherry Mobile Flame 2.0 price is only Php6,999 (SRP), that’s actually very cheap for a quad core powered smartphone. And you don’t have to wait any longer, because the Flame 2.0 will be available starting April 2013. Perhaps it will be made available together with the Omega HD. So which new Cherry Mobile phone are you planning to get? 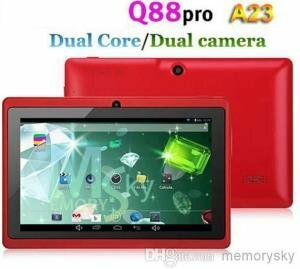 The 5-inch HD display Cherry Mobile Omega HD or Flame 2.0 that is powered by a quad core processor?